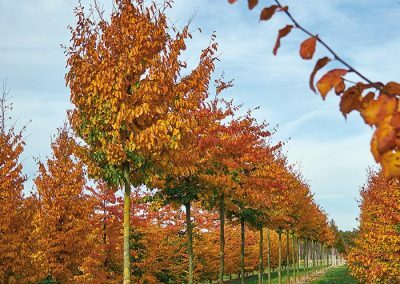 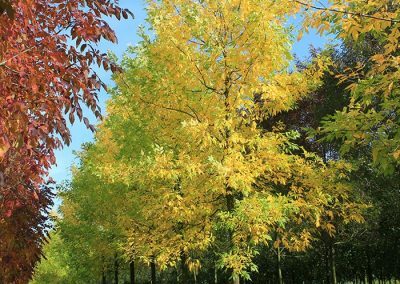 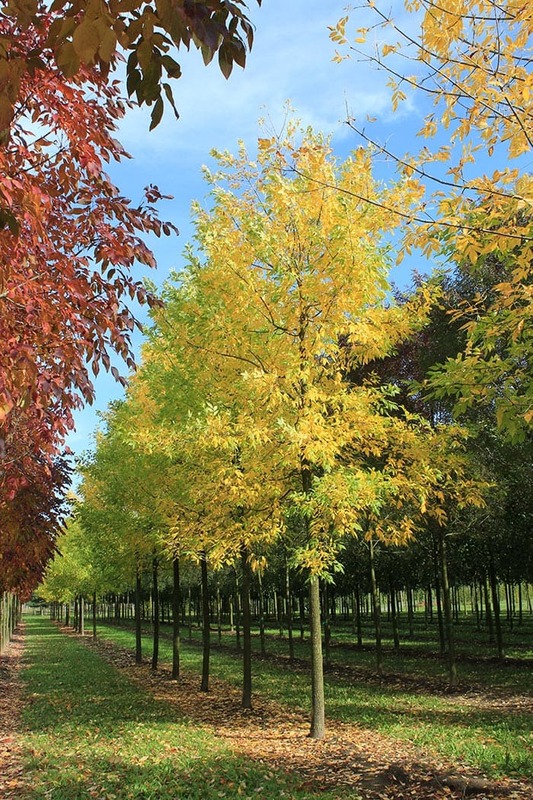 Deciduous trees from Lappen, such as the Tilia (lime), Acer (maple), Fagus sylvatica (copper beech), Quercus (oak) and Nyssa (tupelo gum), offer the onlooker a sensational display of autumn colours. 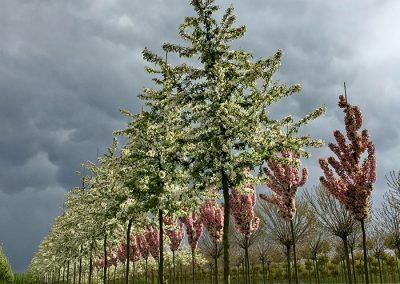 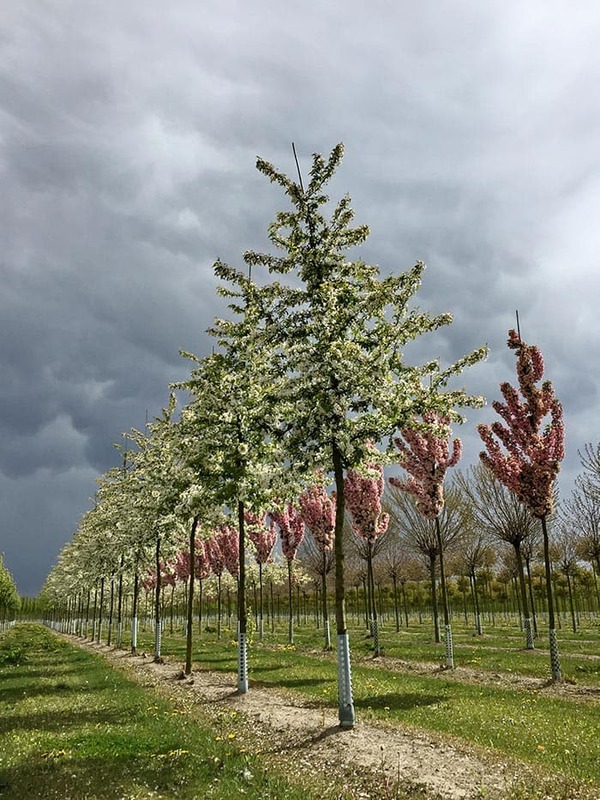 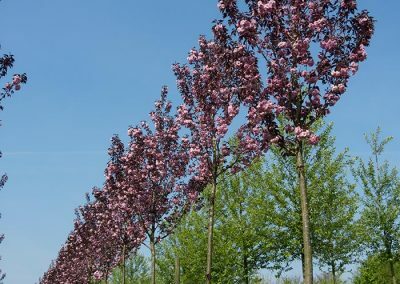 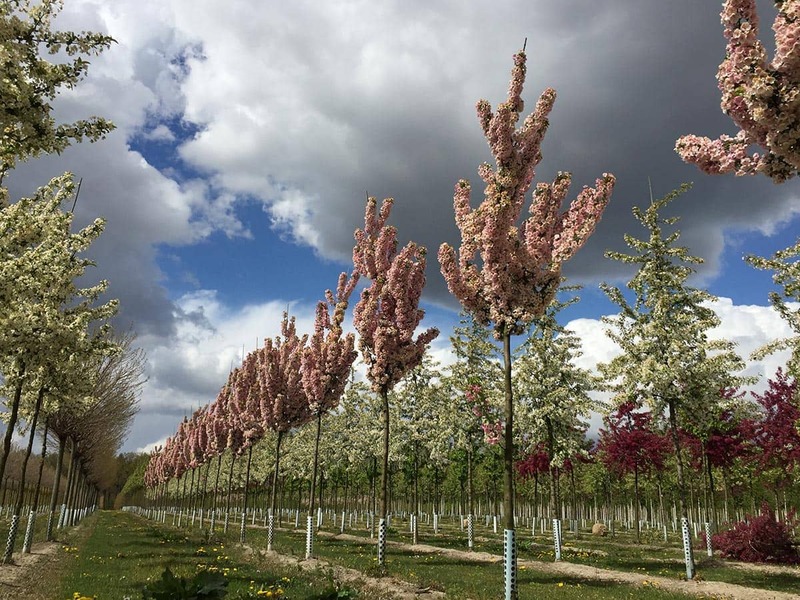 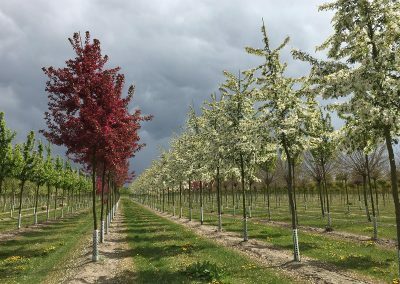 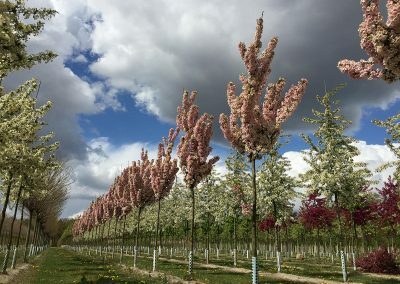 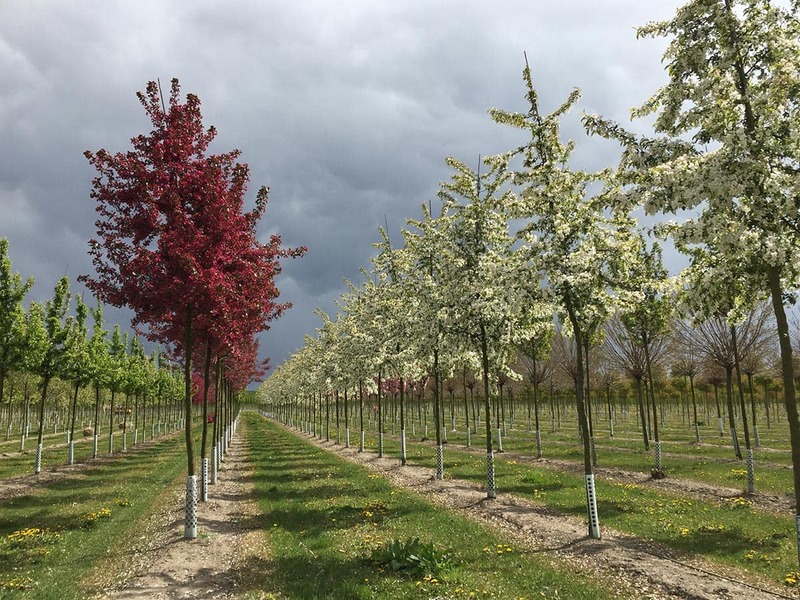 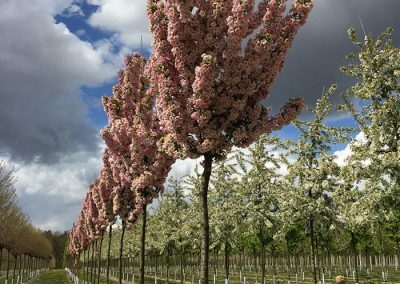 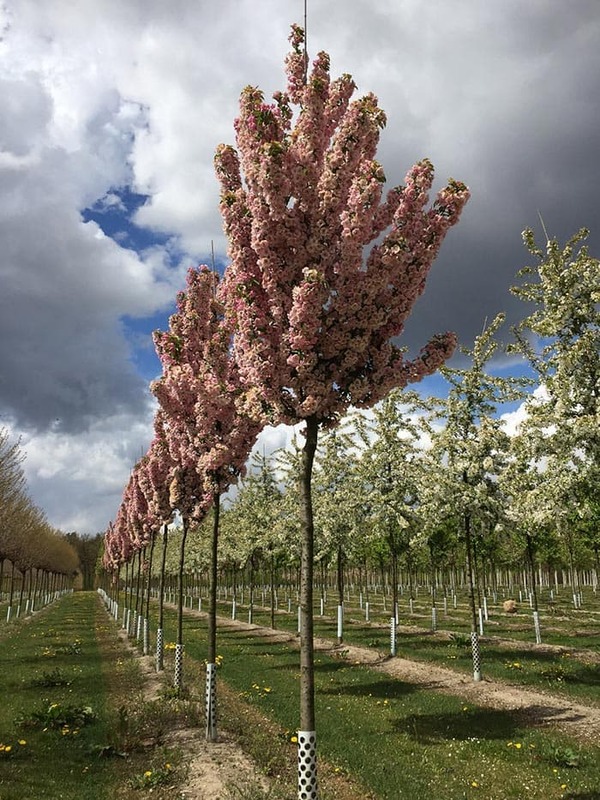 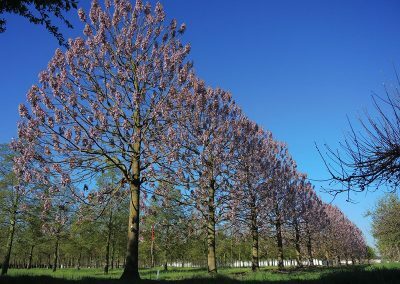 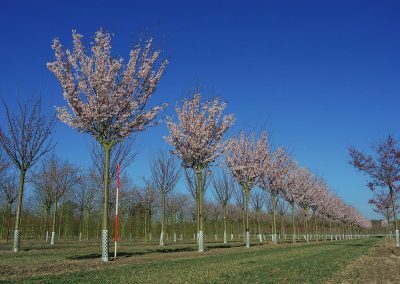 In turn, other plants bloom attractively in spring, amongst others the Prunus ‘accolade’, yedoensis or ‘Taihaku’ (Japanese cherry), together with a large number of other ornamental trees. 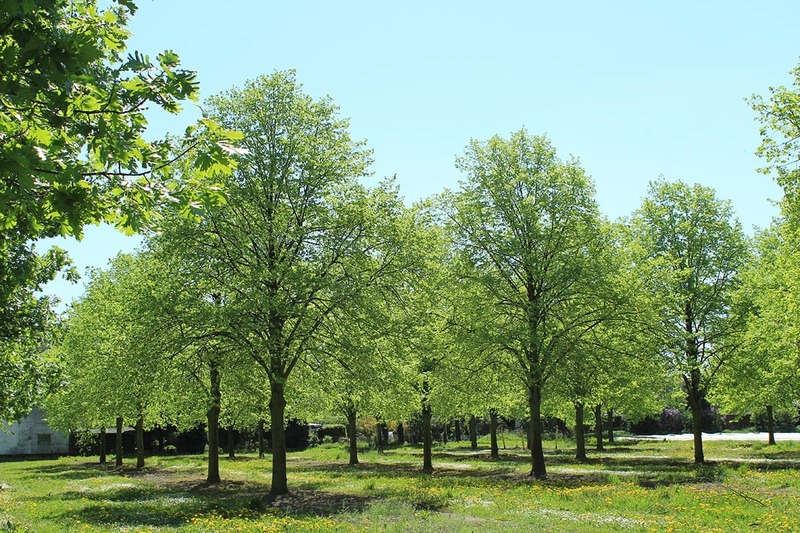 In summer they provide shade in the streets, car parks, gardens and parks. 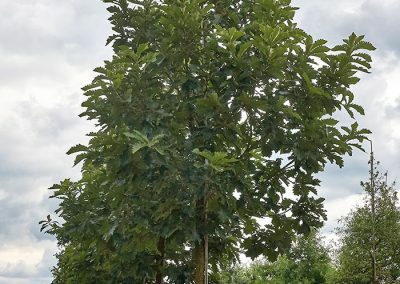 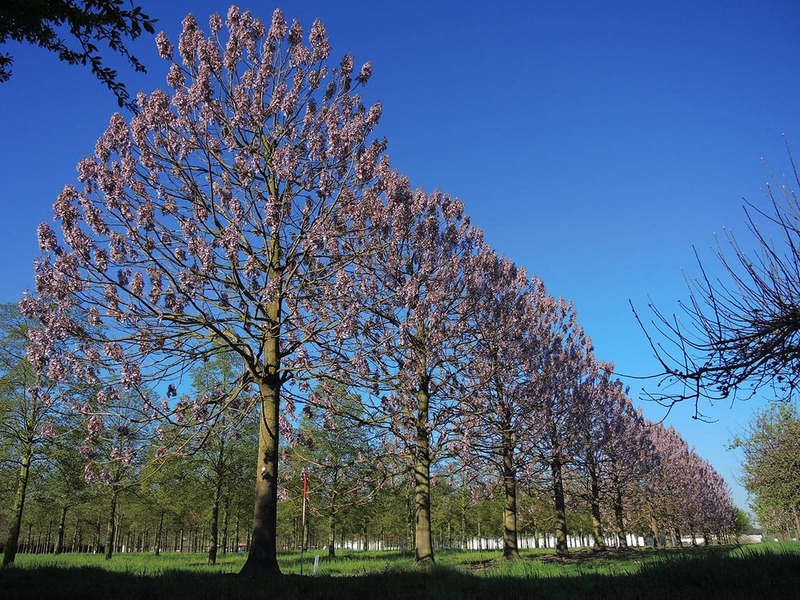 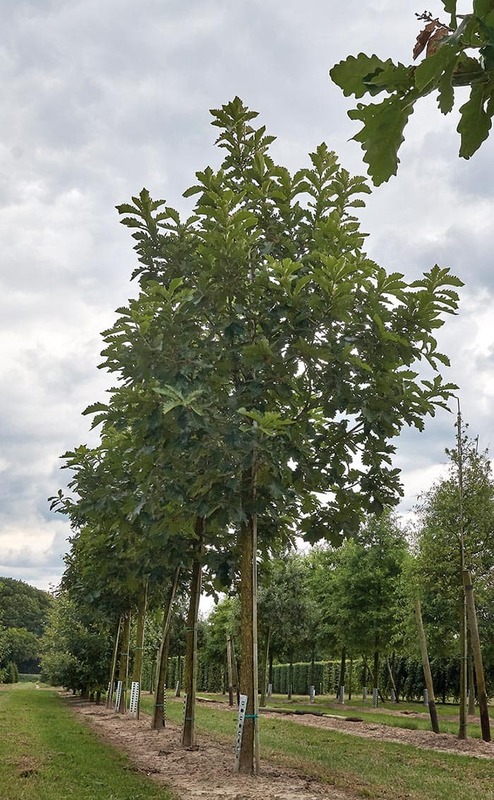 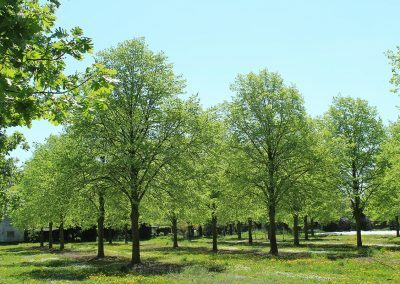 Such varieties with highly developed crowns and high growth, including the Liriodendron (tulip tree), are particularly suited as free-standing solitary trees for parks and avenues. 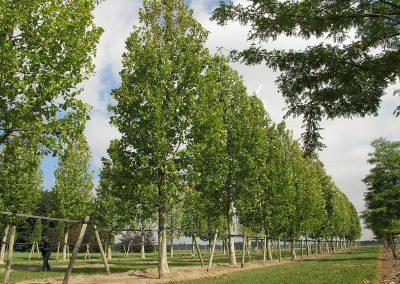 The acer platanoides ‘Columnare Dila’ (columnar Norway maple), on the other hand, is frequently planted in narrow streets and small parks. 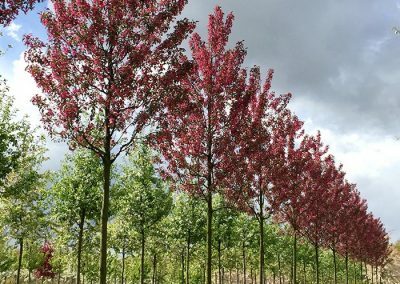 The frost-hardy and wind-resistant, but somewhat heat-sensitive Acer freemanii ‘Armstrong’ (red maple), one of the 150 sub-species of the acer (maple), is also suitable for planting in confined spaces and narrow streets. 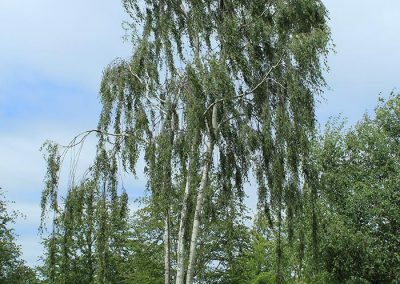 Its bark is silver-grey and it blooms before bud burst in March with beautiful orange-red panicles. 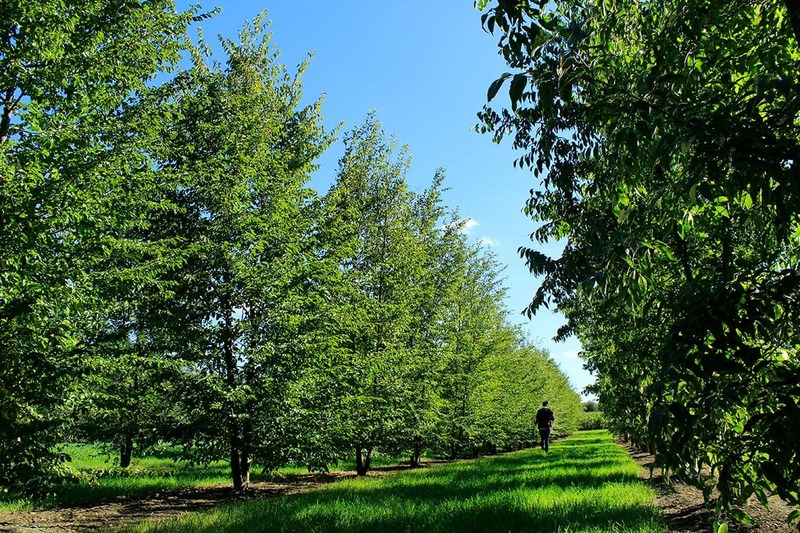 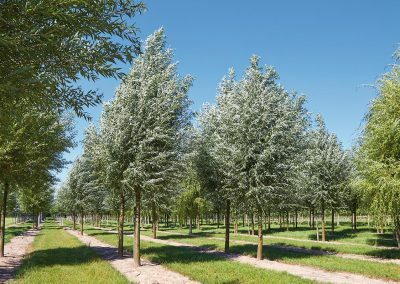 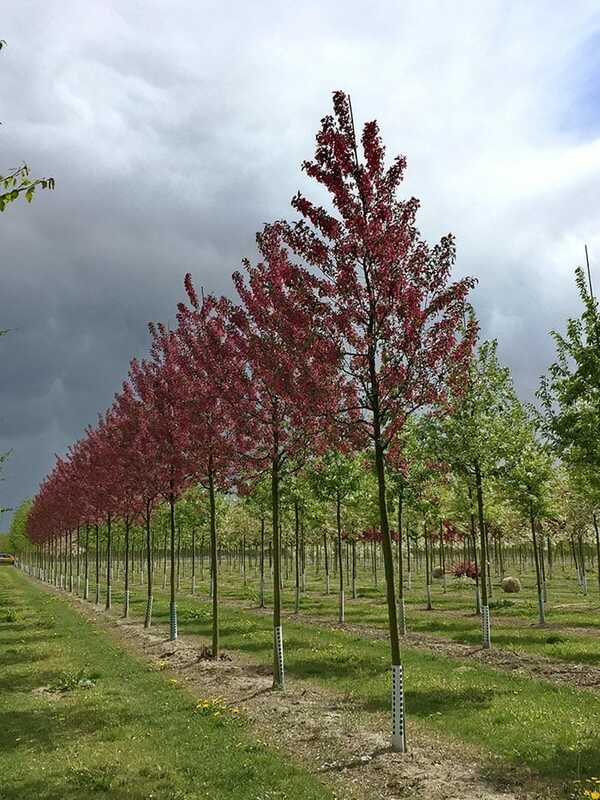 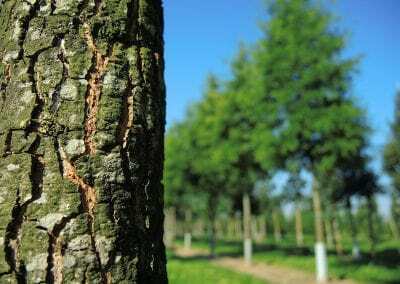 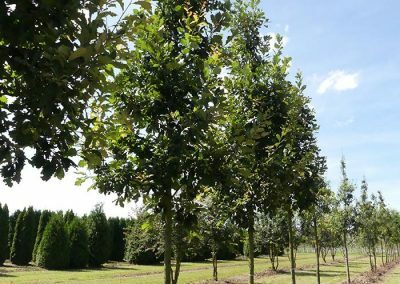 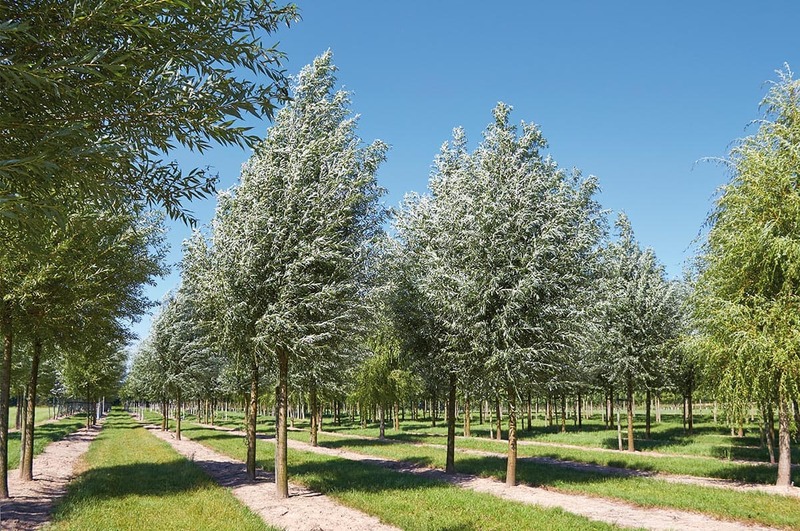 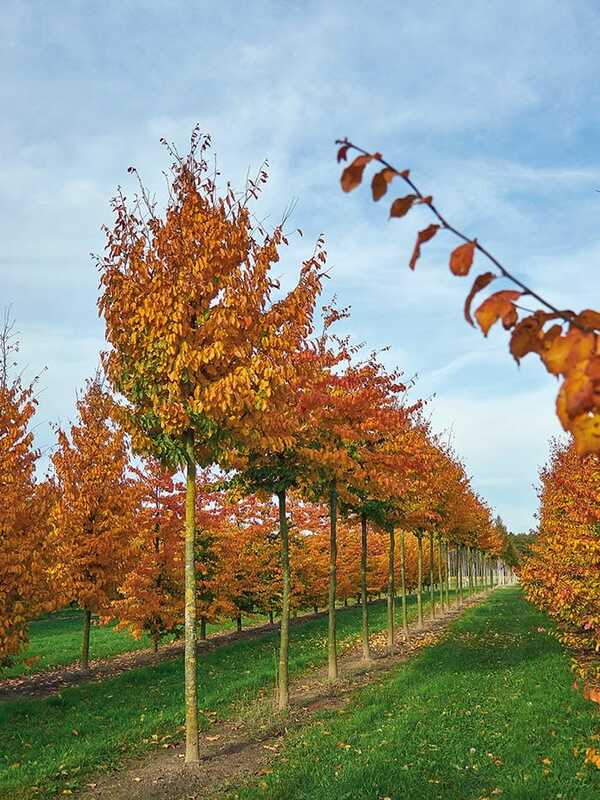 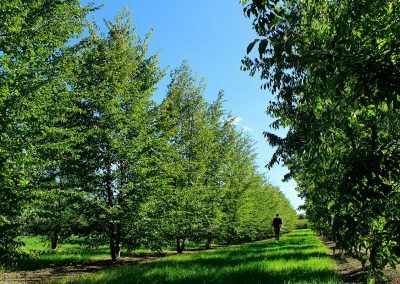 But it’s not only the growth and colours that are important when selecting the right tree. 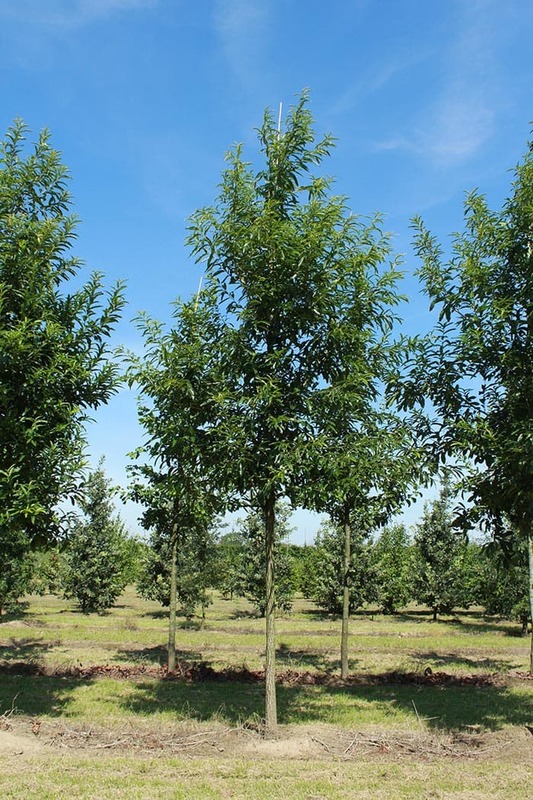 The climatic and soil conditions at the future planting site also play a key role. 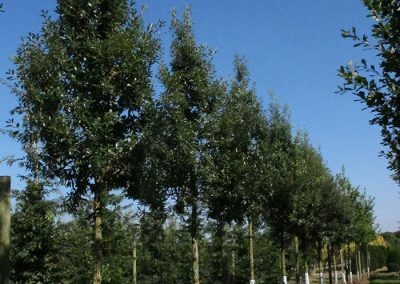 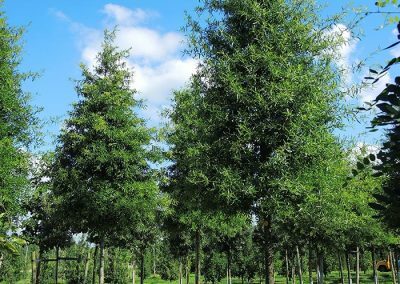 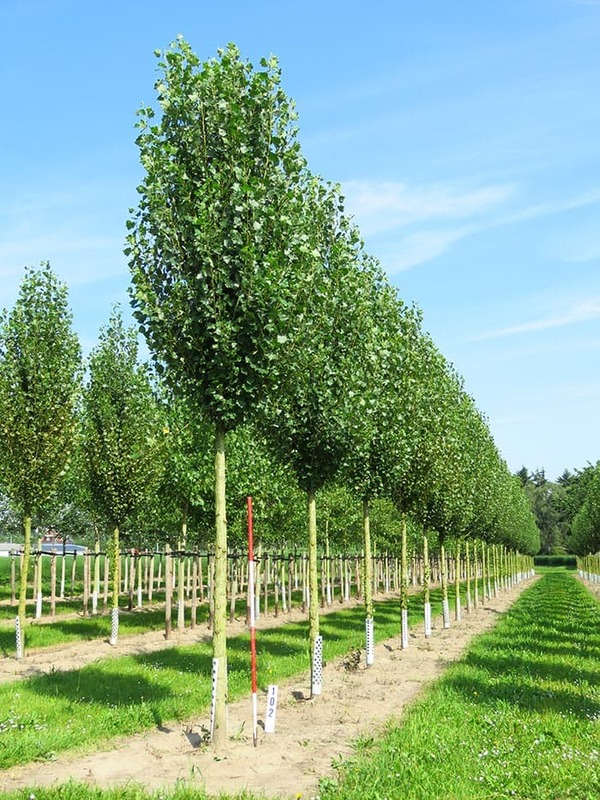 For instance, the straightforward Alnus (alder) places no particular demands on the soil. 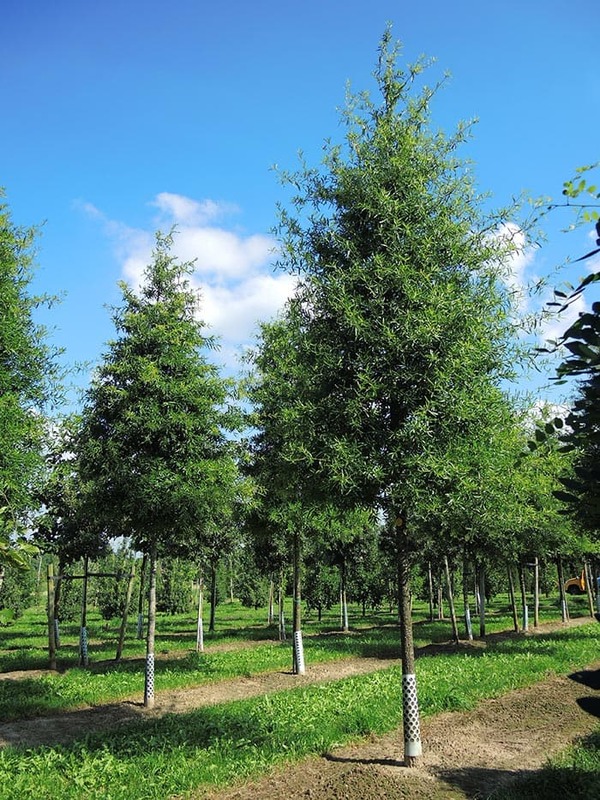 It thrives on nutrient-poor, dry soils while simultaneously coping with a high level of soil saturation. 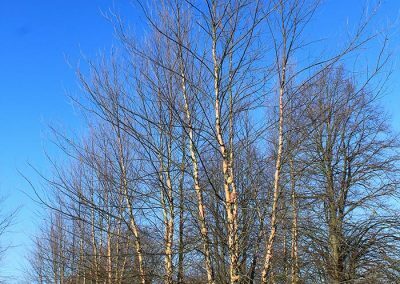 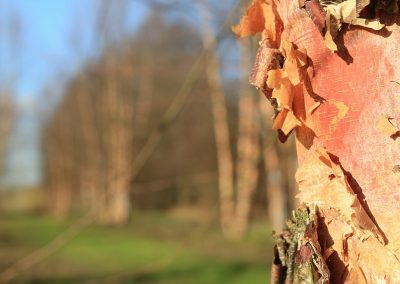 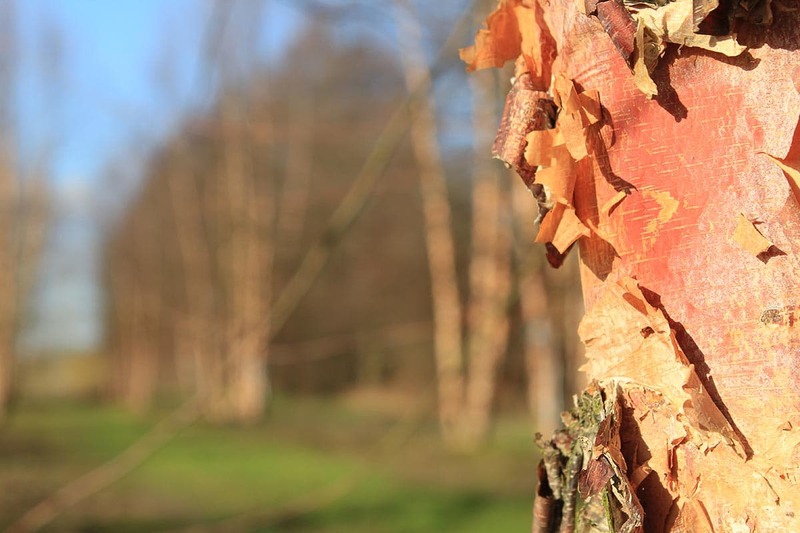 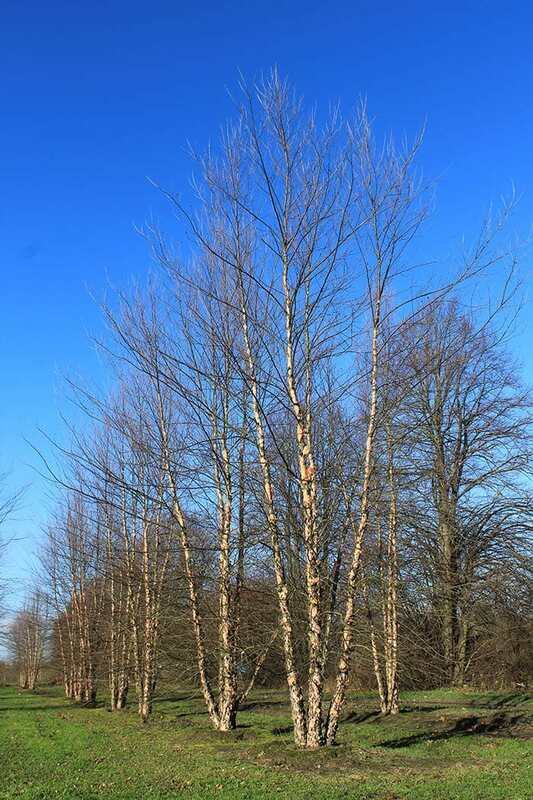 The Betula (birch) also prefers a sunny location, but is still capable of tolerating almost all soil conditions. 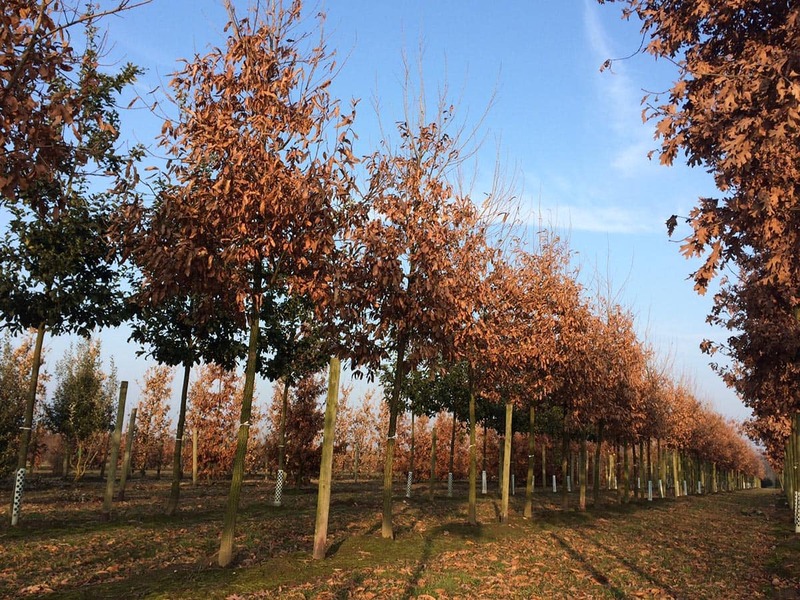 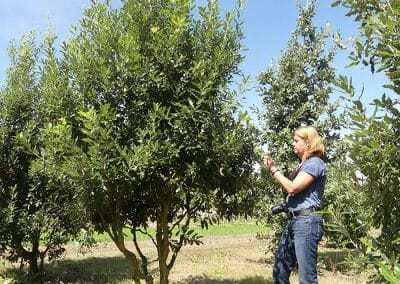 The Quercus (oak), in contrast, loves rich, deep soil, with at least some clay in the lower levels of the soil. 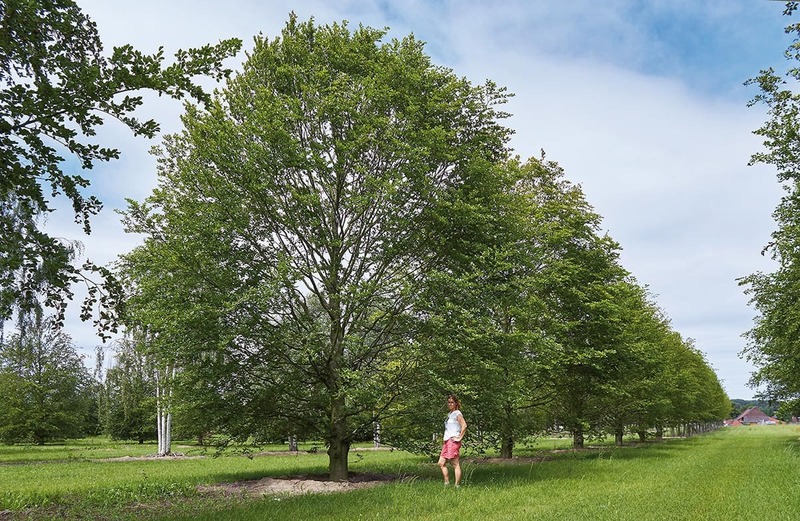 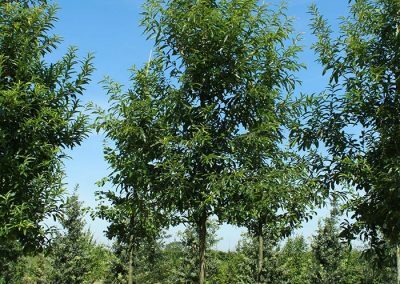 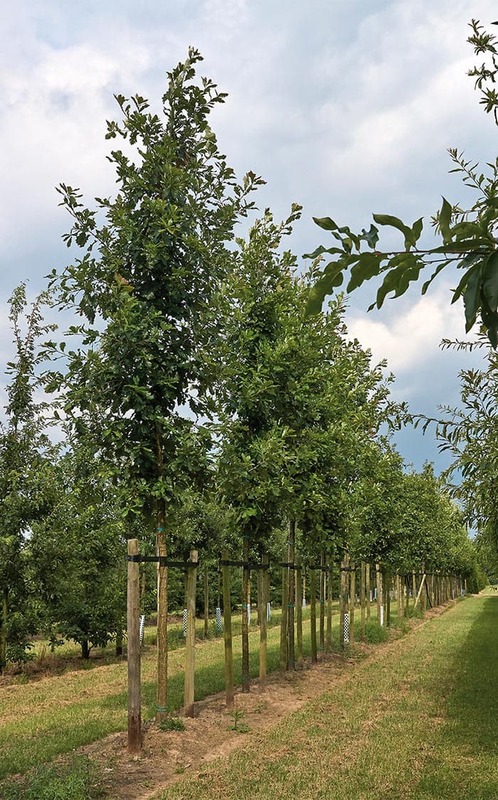 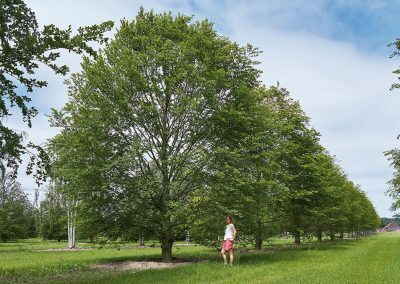 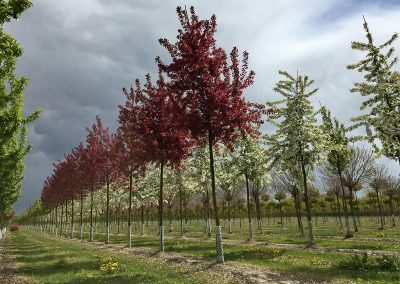 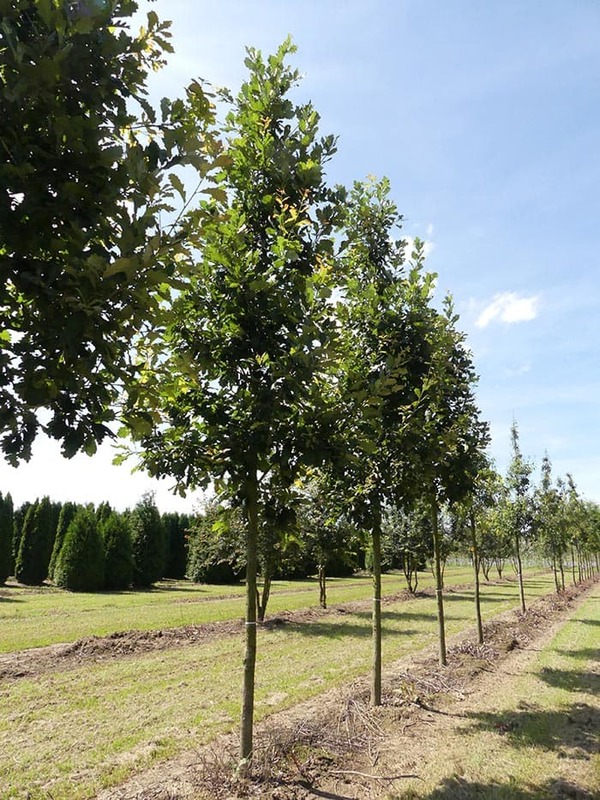 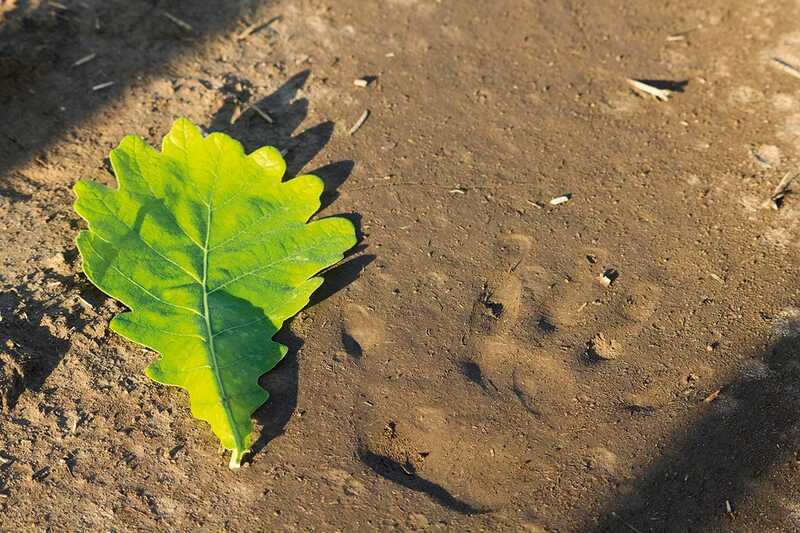 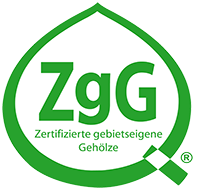 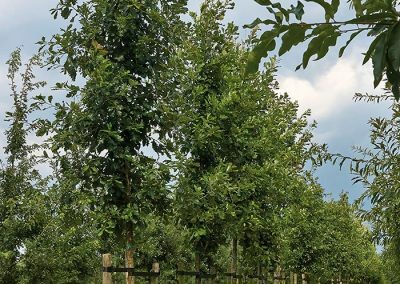 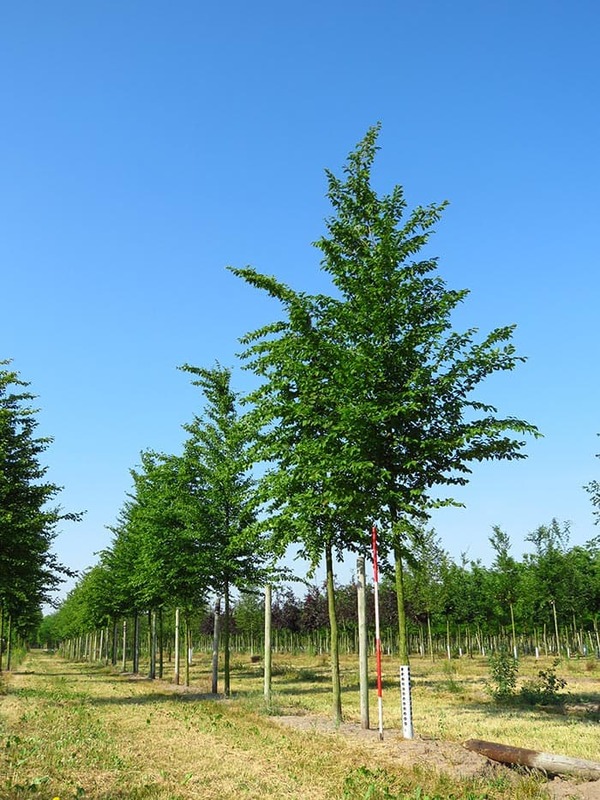 If the soil and climatic conditions are good, real giants can develop from the trees grown by Lappen: alongside Quercus (oak), Fagus (beech) and Ulmus (elm), the Acer (maple) can also grow up to 30 m tall. 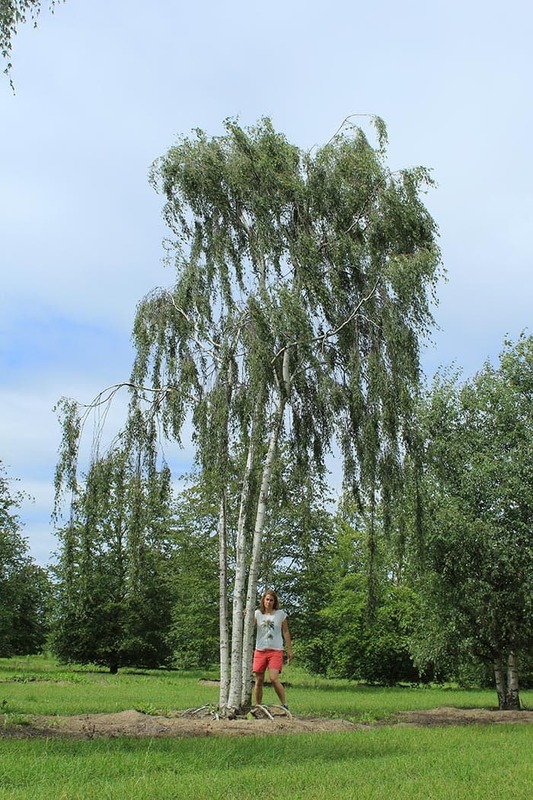 If the tree stands in an unrestricted space a magnificent crown will grow. 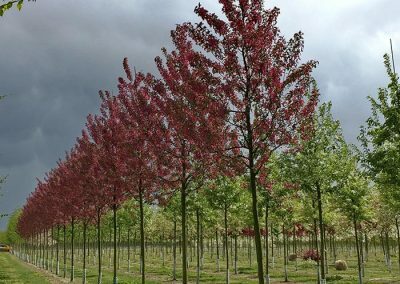 The deep-reaching roots and soil-improving leaves of the Acer (maple) mean that it is optimally suited to derelict land. 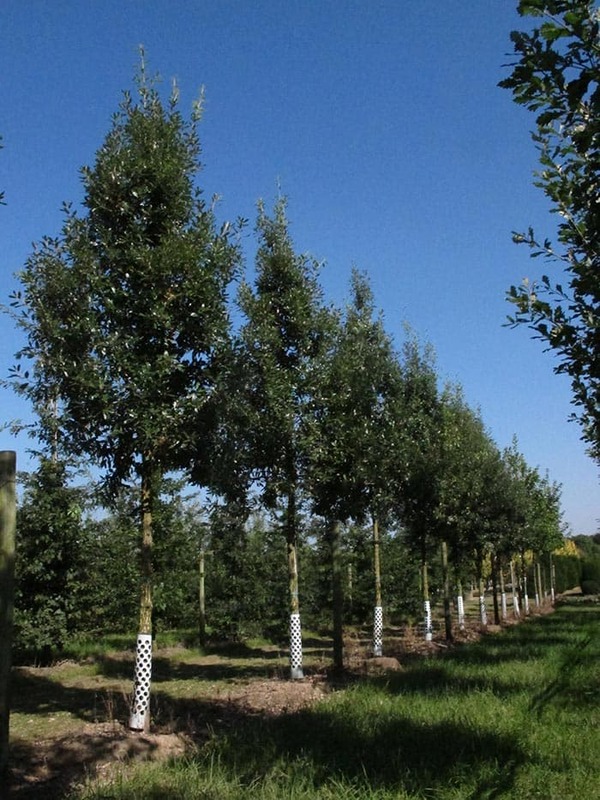 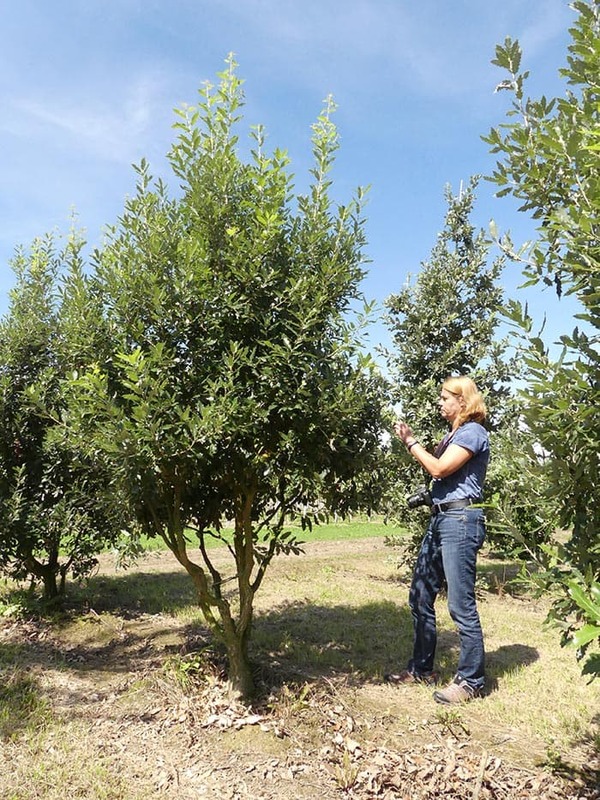 Future trees can also be found among the tree nursery’s deciduous shrubs. 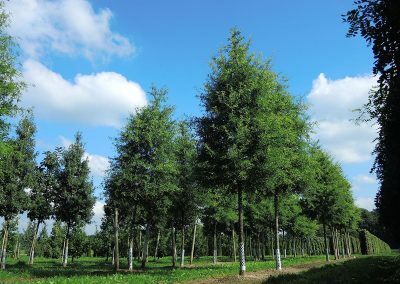 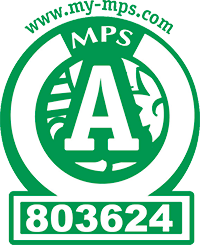 These are characterised by their growth vigour, life expectancy, and low level of care, hardiness and resistance to breakage. 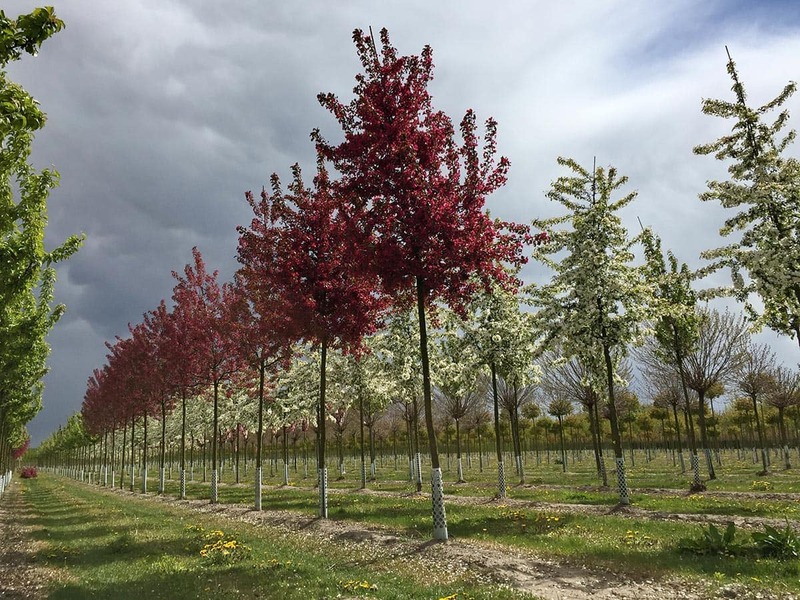 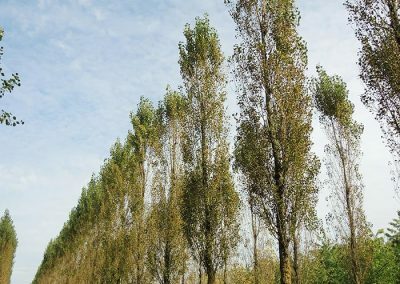 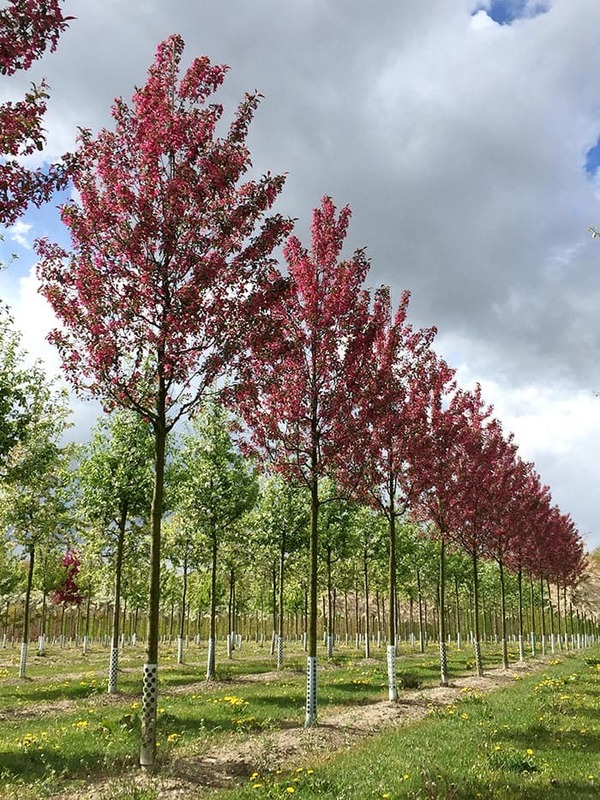 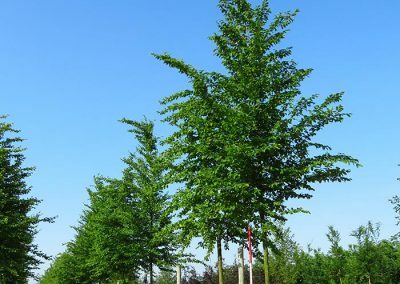 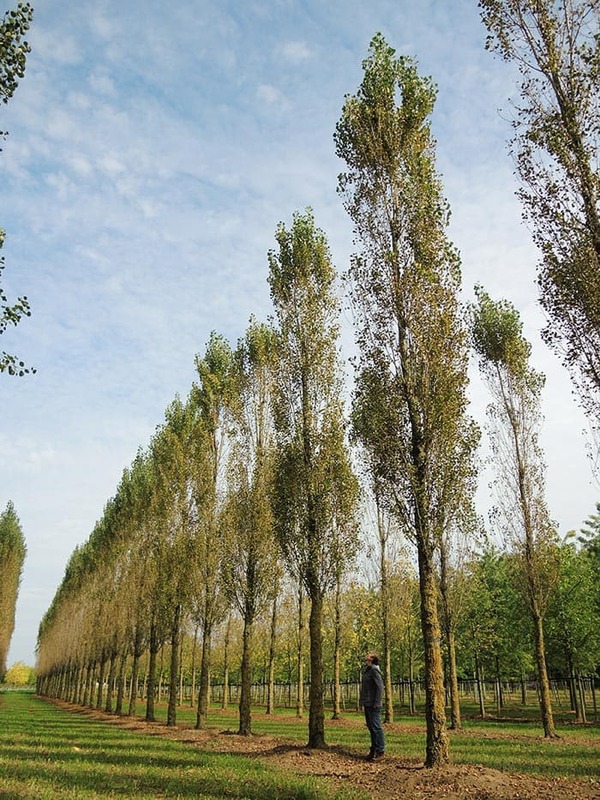 Such trees include the Acer campestre (field maple) in various varieties, Celtis australis (European nettle tree), Acer buergerianum (trident maple), Fraxinus americana(white ash), Acer monspessulanum(French maple), Quercus cerris (Turkey oak), Ostrya carpinifolia (hop hornbeam), Zelkova serrata (Japanese zelkova), Gleditsia triacanthos (honey locust ‘Sunburst’) in various varieties, Koelreuteria paniculata (pride of India) and the Fraxinus ornus (manna ash). 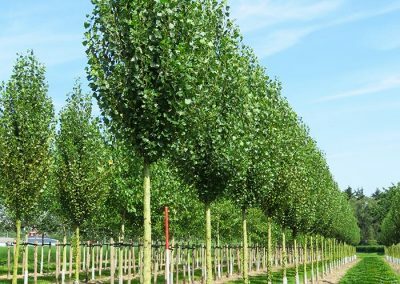 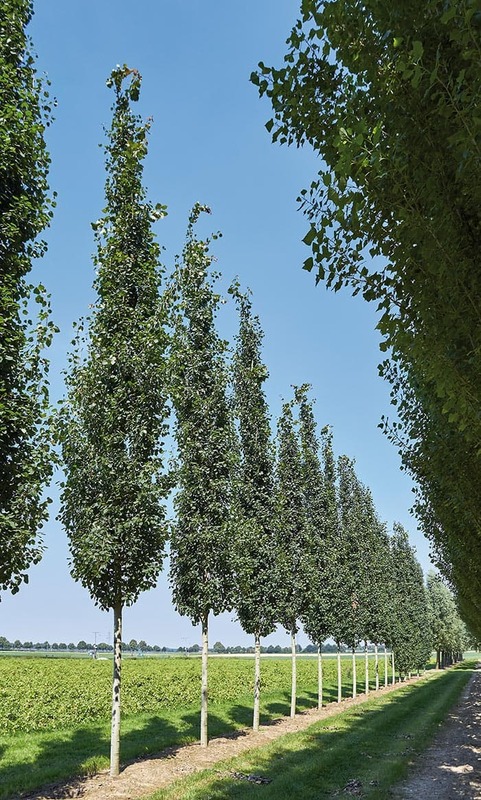 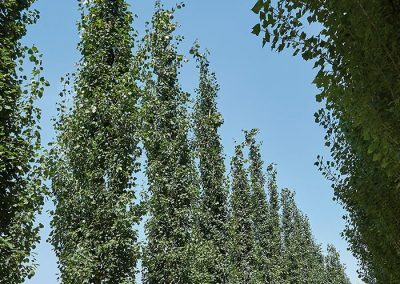 Another plant in the tree nursery’s comprehensive range is the Tilia henryana (Henry’s lime). 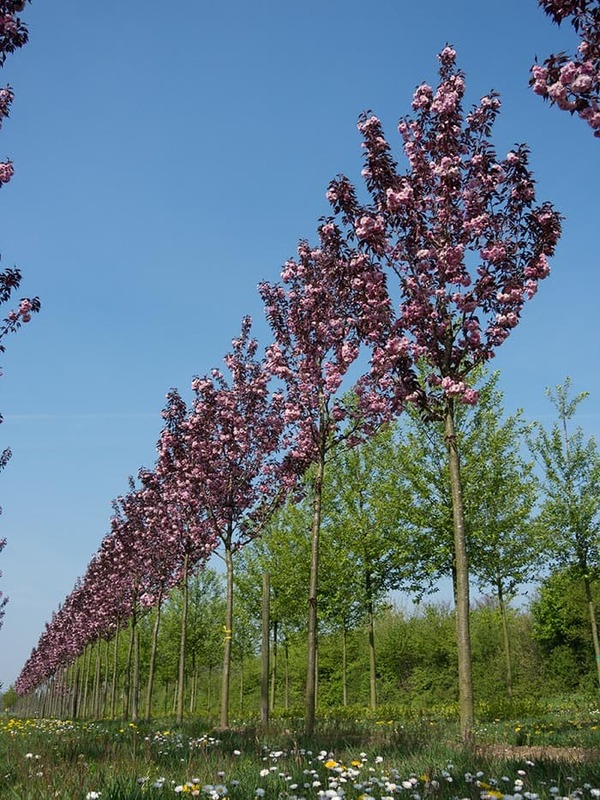 This produces particularly rich nectar and pollen and therefore frequently attracts honey bees. 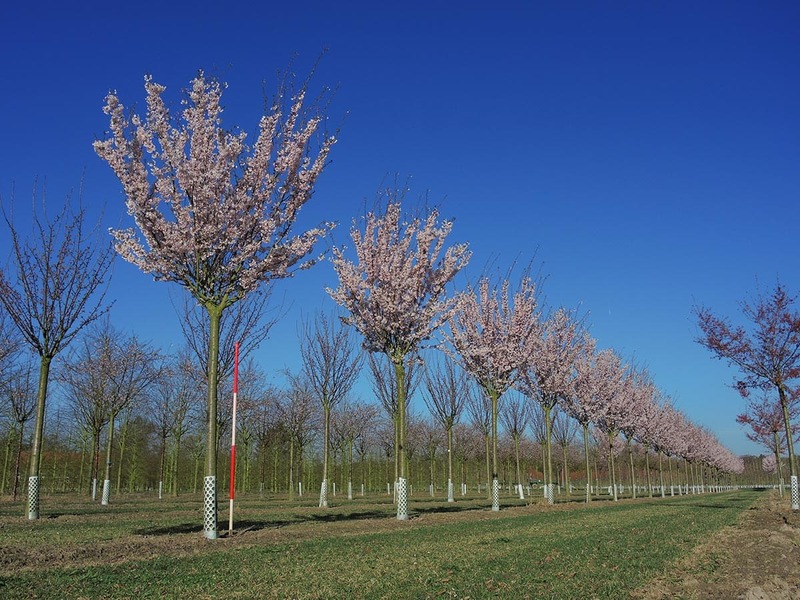 The bee pastures provide reliable stabilisation of slopes and inland dunes.